Get ready for the hottest country event of the year!! Jason Aldean, with support from the incredible Chris Young & Kane Brown, will headline the Oak Mountain Amphitheatre on Thursday 10th August 2017 as part of his much-anticipated “They Don’t Know,” tour!! Tickets are flying fast, so grab one now while you still can!! Hitting 33 cities on the first part of the tour, Jason Aldean and company are really going all-out to give fans everywhere the concert experience they’re craving. 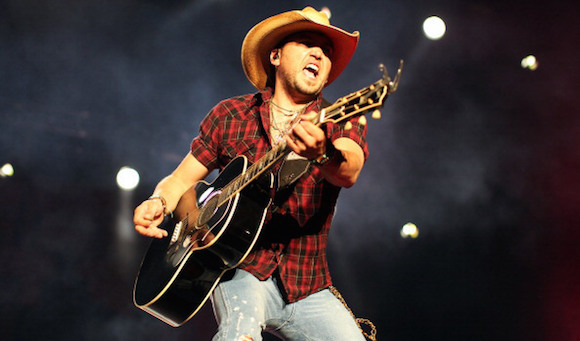 A constant audience magnet on the live touring circuit, playing venues and stadiums across the world, Aldean has said quite firmly that as long as people want him on the road, he’ll keep going. “That's the great thing about country music,” Aldean said. Your fans support you. When they find somebody they like, they support them through their career.” Currently the named ACM entertainer of the year, its no wonder that the holder of this prestigious title puts such an effort into keeping fans satisfied. Chris Young, after winning tv programme Nashville Star in 2006, was promptly signed by RCA Records Nashville, who released his first album in the same year, resulting in the Hot Country Songs “You’re Gonna Love Me,” and “Drinkin' Me Lonely”. The title track of his second album, 2009 release “The Man I Want To Be,” shot straight to number 1, as did two other singles, setting a pattern which continues to this day! Also in support we have young new artist Kane Brown, who utilised social media to gather attention for his first EP “Closer,” and subsequent 2015 single, the melancholically entitled; “Used to Love You Sober.” He’ll be touring in support of his fresh 2016 self-titled release – we’re very excited to see what this up-and-coming artist has to offer next!! This is going to be an unmissable concert – make sure you’ve got your tickets early to secure your place! !